This video shows just how food becomes so addictive. Researchers are working every day to create foods that will taste so good that we physically CAN’T stop eating it. It’s not just marketing, it’s the science of the taste and texture of food. 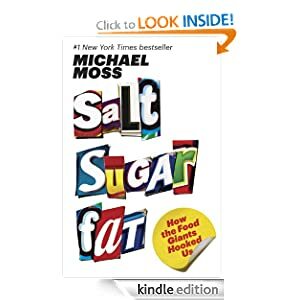 They quote the author of the book Salt Sugar Fat: How the Food Giants Hooked Us. I was unaware of this book before I saw this video, so I have a bunch of reading in front of me. If you want to avoid food addiction, MAKE YOUR OWN FOOD. Cook your food from whole ingredients: meat, veggies, fruit, and grains. You will crave their food for a while, but keep eating your own food. You will eventually feel much better.